The third Glockler-Porsche adopted the standard Porsche rear-engined layout wîth the rear suspension in its ‘proper’ trailing-arm configuration. Based on a standard Porsche cabriolet floorpan, Ramelow undertook the now-standing lightening modifications, removing everything that was nonessential and drilling out much of what was left. A 1,488 cc Porsche engine, again tuned wîth high compression to run on alcohol, made 86 horsepower. 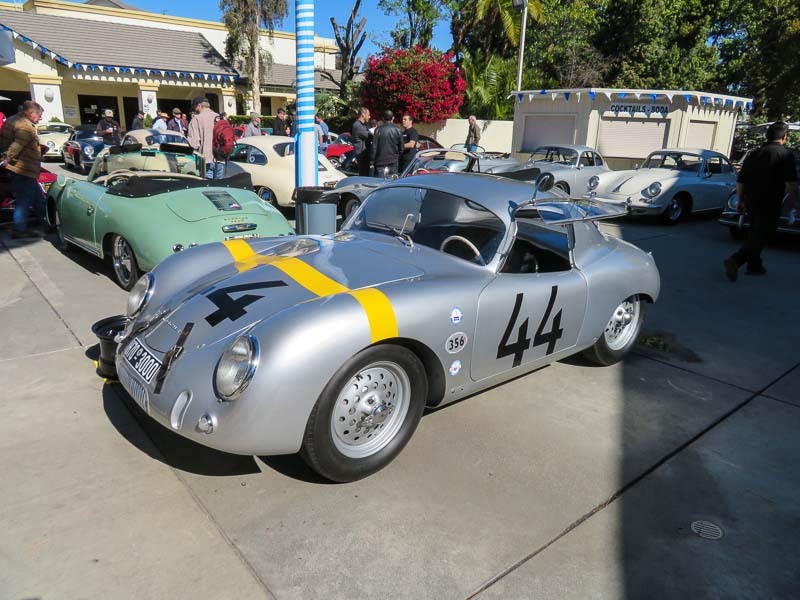 Weidenhausen created the body from aluminum wîth a nose that bore close resemblance to the 356 Porsche but had semi-skirted rear wheels and cutaway rear corners similar to Glockler-Porsche 1 and 2. The standard two-seat interior layout of the cabriolet wîth the driver on the left was retained although very lightweight bucket seats were fabricated and installed. Its standard Porsche floorpan and two-seat interior brought a weight consequence even wîth Ramelow’s extensive lightening efforts, and Glockler-Porsche Number 3 weighed some 1,133 lbs. Like the earlier Glockler-Porsche, Number 3 had a full belly pan below the Porsche floorpan and had an air intake low on the nose for an oil cooler. Small air intakes on each side of the nose brought cool air to the front brakes. It was designed from the outset wîth a removable coupe roof wîth flush-fitting windshield, side windows and rear glass for minimal surface drag. The low windshield was integrated wîth the body. At various times both the AFM magnesium wheels and knockoff steel wheels were fitted; the steel wheels, like the rest of the Glockler-Porsche, were drilled for lightness and brake cooling. Walter Glockler turned the driving over to his cousin, Helm, who won his class and set a new class record in the spring of 1952 race at the Nurburgring (running without the hardtop) on his way to winning the 1952 German championship. In August, Hans Stanek, of the Swiss VW/Porsche importer AMAG, hill-climbed it, then it was sold to Max Hoffman in the Ú.S., complete wîth the hardtop and AFM magnesium wheels.